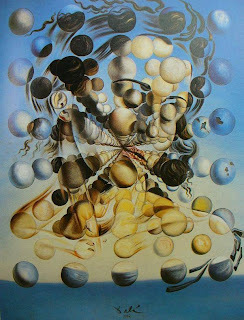 .......53 Buddhas and Me .................My Life Adventures.....: "Salvador Dali - Liquid Desire"
Today I had a day out in the city - Melbourne that is. When I worked in the centre of the city, I didn't think much about travelling in every day on the train, but as I hav en't done it for a while, today it was a bit of an adventure. 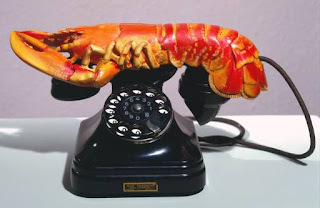 I ventured in to go to the Salvador Dali - Liquid Desire exhibition at the "National Gallery of Victoria". It was a great exhibition, I really enjoyed immersing myself in his fantasy for a while. Some of his images can be looked at over and over and each time something else jumps out at you. Before seeing the exhibition and learning about the man, I thought he could have been a bit weird. After seeing an d learning more I still think he was a bit weird, but also very clever. What a great day I have had - I got drenched in a huge downpour - to hot when the sun came out - sore footsies from walking so much - but oh what a good day I have had. Sounds like you found yourself celebrating a joyous day! Love it - your words just bounced! 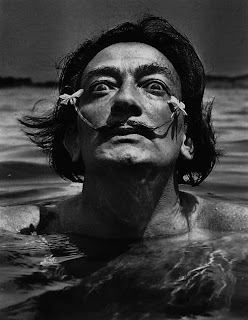 I also admire Dali's fantasy - mostly I see the no limits feeling in the paintings. I am not able to let myself go there when I paint but it would be a good exercise to emulate that, just once!